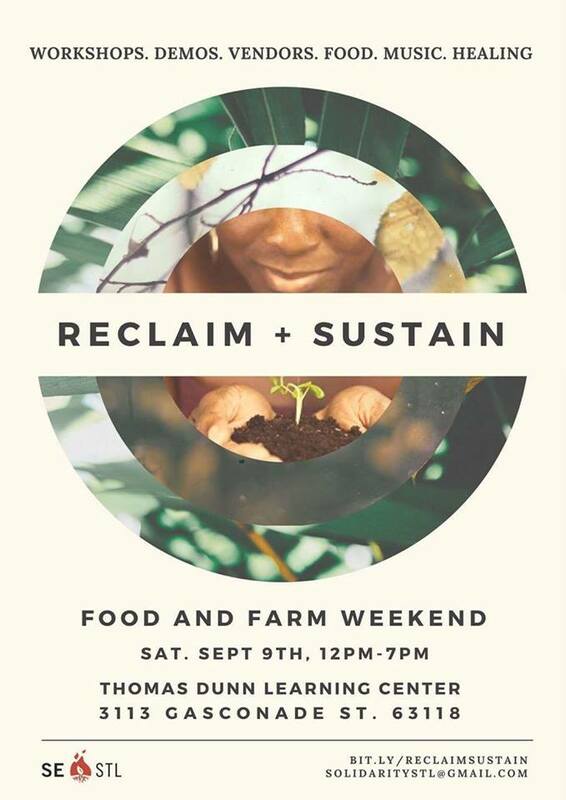 On Saturday, September 9th, from 12:00pm to 7:00pm at Thomas Dunn Learning Center, Solidarity Economy St. Louis is hosting Reclaim + Sustain: A Food and Farm Weekend. Solidarity Economy St. Louis is bringing people together around the belief that everyone should have access to healthy, affordable, and locally-sourced food. They will be sharing and connecting with farmers, gardeners, business owners, chefs, holistic healers, educators, artists, community organizers, and anyone else who wants to be part of a food justice movement. Visit the Facebook event page for more info on this event. This event was updated on September 6, 2017 . See more Festivals and Thomas Dunn Learning Center events.